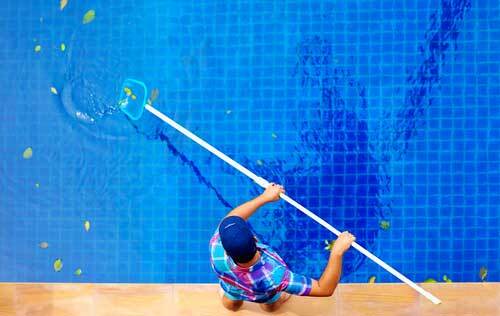 Are you in search of residential pool cleaning experts? Southeast Pools, in ChampionsGate, FL provides expert home swimming pool service, including maintenance & cleaning. Our experienced home pool cleaning experts offer the best in residential pool cleaning, maintenance, and ongoing treatment services to residential swimming pool owners all over South Orlando. We provide weekly and bi-monthly full-service maintenance plans to our customers in ChampionsGate, Kissimmee, South Orlando, Clermont, Reunion, Davenport, Celebration, Auburndale, Montverde, and other surrounding areas around Orlando Florida. No one wants to swim in a dirty pool. Maintenance helps keep your pool operating, but finding a reliable company for swimming pool cleaning keeps you using your pool. We not only skim your pool, but we vacuum, brush the tiles, clean out your baskets and make sure that you’ll be excited to use your swimming pool. At Southeast Pools, we never leave your pool dirty. When you have Southeast Pools handle your home swimming pool in ChampionsGate, you will be receiving a customized plan to meet the needs and challenges of your home pool and backyard. The team at Southeast Pools is insured and qualified to meet all of your home pool’s various demands. A technician from Southeast Pools makes certain to meet with each property manager or homeowner before performing work. We work with you to develop a specific plan for services needed to keep your pool, hot tub, or spa in perfect condition. More than just a swimming pool cleaning company, Southesast Pools provides maintenance plans with each service plan we offer. From brushing, scrubbing, and vacuuming to balancing chemicals and checking or replacing filters, Southeast Pools cares for all of the needs of your home pool. “Swim Easy”. Let Southeast Pools handle all of your residential swimming pool cleaning needs in ChampionsGate and surrounding areas. Whether your pool is enclosed or open air, we have services to match. We recognize each pool is different at Southeast Pools and take care to provide individualized services based on need. Contact a technician at Southeast Pools today to receive a custom quote. We will talk to you about the type of pool you have, challenges you are facing, the size of your pool, and other information that will enable us to give you an accurate quote with no surprises or strings attached.